We no longer carry the 2015-17 Mustang Ford Racing Drag Pack. Check out 2015-2019 Mustang Engine Parts for an updated selection. 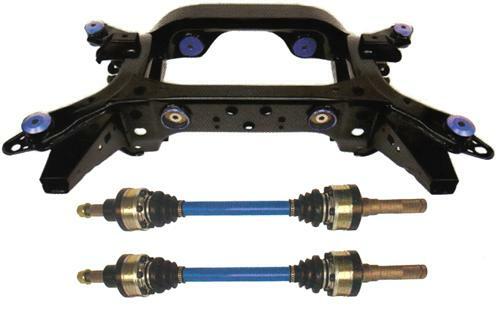 Reduce wheel hop & stiffen your chassis with this Ford Racing 2015 Mustang rear subframe & halfshaft kit! 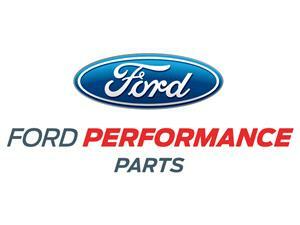 You can expect this Ford Racing part to be released with pricing and availability in the first quarter of 2015. When you start heavily modifying a Mustang with Independent Rear Suspension (IRS) the weak link quickly becomes the rear half shafts. Ford Racing has come up with the perfect solution for your 2015 Mustang halfshafts with this heavy duty upgrade kit! This kit is a direct replacement for your originals and is CNC machined from aerospace high-alloy materials for strength and durability. These halfshafts feature billet one-piece 34 spline inner and 32 spline outer stub ends. The CV joints are severe duty with CNC billet centers all using Aerospace electrically bonded e-coating to resist corrosion. If you've floored the throttle from a dead stop in your 2015 Mustang, then you've probably experienced bad wheel hop. Ford Racing has come up with a solution with this 2015 Mustang performance rear subframe kit. This kit comes assembled with new Ford Racing subframe bushing kit M-5872-M and rear differential bushing kit M-4425-M already installed to eliminate subframe and differential compliance under vehicle load. The combination of all of this helps to reduce wheel hop for better launches and improved vehicle control. The sub frame included in this kit is the same as what rolled off the assembly line. However, the aluminum bushings are pre-installed into the new subframe saving you labor and time removing the factory rubbing bushings w/ steel sleeves out of your original subframe and having to press the new bushings in place. All of this while hoping you do not damage the original subframe. Thus, making the entire kit a great option. -Fits 2015 Mustang GT, V6 and Ecoboost.